For a long time, the brain of an adult was considered as a rigidly fixed, hard-wired organ. The latest scientific findings, however, show just the opposite, proving not only something that Buddhists have always known, but also illustrating why psychotherapy ‘works’ … and that many of our weaknesses might actually be more changeable than we had dared to hope. One of the most fascinating areas of research in neurobiology is the one dealing with the so-called ‘neuroplasticity’, or ‘neural plasticity’. This term refers to the ability of synapses, nerve cells or entire areas of the brain to change and adapt depending on their use. 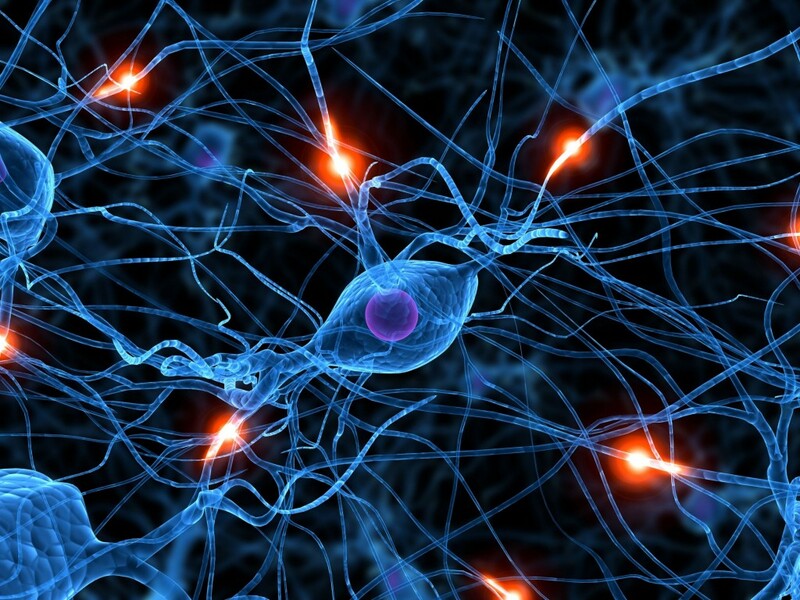 Depending on the neural system referred to, it may also be called ‘synaptic plasticity’ or ‘cortical plasticity’. The basis for the discovery of the adaptability of the brain and nerve cells was the research of psychologist Donald O. Hebb (1904-1985). Researchers at the University of Zurich showed for example that for someone who experienced a right humerus fracture and was restricted to use only his left hand, striking anatomical changes could be proven in specific brain areas after just 16 days: the thickness of several sections of the left brain hemisphere was reduced, while parts of the right hemisphere compensating for the injury increased in size. Also, the fine motor skills of the compensating hand had improved significantly. Simple, but amazing results in tests confirm that even the basic act of imagination can enlarge areas of the human brain: brain researcher Pascual-Leone, for instance, asked volunteers to practice a simple piano piece and then analyzed the motor areas of their cerebral cortex. He found that the area which is responsible for controlling the finger movements had increased in size. So it appears that the popular comparison by teachers to see the brain as a muscle is actually not that far-fetched: if certain areas of our brain are continuously used and ‘exercised’, they seem to develop – and our skills and the information that can be stored in these cerebral areas will increase accordingly. In another experiment, the subjects should just imagine to play the piano piece for a certain amount of time. The astonishing result: exactly the same areas of the brain had been found changing as in the volunteers who had actually practicioned the piece on the piano. So just by thinking or by mental training alone – by an activation of the involved neural circuits -, physiological changes of the brain can apparently be stimulated. Quite an amazing story in this context is the one of painter Esref Armagan, who has been blind from birth. Nevertheless, he is able to create realistic images of buildings and landscapes that he knows only from descriptions. Although the visual areas of his brain had never received an external visual stimulus, the associated brain areas are as active as the ones of someone who can see: just by the descriptions of the objects he later paints on paper, his brain is recognizing mental images. Mere imagination can seemingly have enourmous effects on our brain, and actually we already know such effects from psychotherapy : it’s range of methods allows to ‘try’ new behaviors and mental concepts in the client’s imaginagion or the therapeutic practice. Later on, they can ultimately be implemented in the life ‘out there’. Piece by piece, old and hindering concepts of thinking are replaced by others that can make us happier, more confident and help us to achieve our personal goals and needs in more successful ways than before. It explains why psychotherapy can achieve supportive effects even with severe mental illnesses and neurological disorders. To Buddhists experienced in meditation, all this will not sound new at all: if someone is able to concentrate on one thought for a long time, negative thoughts can gradually be overcome. By overcoming those thoughts that cause mental suffering, however, a physiological and permanent adaptation of the brain circuits may be achieved that had caused these negative thoughts before. What can be achieved by the external and professional guidance of a trained psychotherapist, Buddhist monks can reach only by themselves through years of meditation practice. Therapeutic effects of neuroplasticity have been documented after strokes, in pain treatment, in autism, for symptoms of paralysis, learning difficulties, phantom pain and many more (many of which are mentioned in detail in the videos and the bibliography linked below). Just as epigenetics, neuroplasticity seems to be an evolutionary factor by which humans can gradually adapt to the demands of the environment they live in. The Brain That Changes Itself – short documentary: Canadian psychiatrist and psychotherapist Norman Doidge about the adaptability of the human brain. “What can I do, it’s in my genes!” In recent years, this has become a standard explanation for many of the health problems we have to face in our lives. Indeed, there are few human diseases without scientific studies trying to pinpoint ‘genetical causes’ as the root. Consequently, there are efforts to find genetic roots of mental problems as well. But 150 years after Mendel (the ‘father of modern genetics’) had outlined his ‘Laws of Inheritance’, we have still to see significant therapies that could wipe out major human burdens like cancer, addictions, diabetes or violence by purely genetical means. This is not to say that genetic science doesn’t have potential; but all the other influential factors should not be forgotten. One of the weirdest aspects of the notion that all things human are genetically predetermined is that it takes everyone completely out of the context of their environment. We might as well not put personal or societal energies into trying to improve ourselves or others, because it’s inevitable and unchangeable anyway… But in fact there is just a very small number of very rare diseases that are truly genetically determined. Most complex conditions like ADHD, schizophrenia, a tendency to violence or addiction might have a predisposition that has a genetic component, but a predisposition is not the same as a predetermination. Genes just seem to give us different ways of responding to our environment. Some of the childhood influences and the method of child rearing in turn also affect gene expression; they can actually turn on or off various genes to put us on a different developmental track which may suit the kind of world we’ve got to deal with. For example, a study done in Montreal with suicide victims looked at autopsies of the brains of these people and it turned out that if a suicide victim had been abused as a child, the abuse actually caused a genetic change in the brain that was absent in the brains of people who had not been abused. That’s an epigenetic effect: an environmental impact that is capable to either activate or deactivate certain genes. So, in adaptation to the famous quote of Shakespeare, “There are more things in heaven and earth than are dreamt of in our scientific world.” And there are more things we can do to change ourselves than we might imagine.